We have done a lot of engagement photography sessions in our time. They are a great opportunity to get to know each other before the big day. I mean imagine if one of us tells extremely lame jokes while photographing your entire wedding... JEFF (cough, cough)... that's nice to know before you get married right....don't worry his jokes are kind of funny! 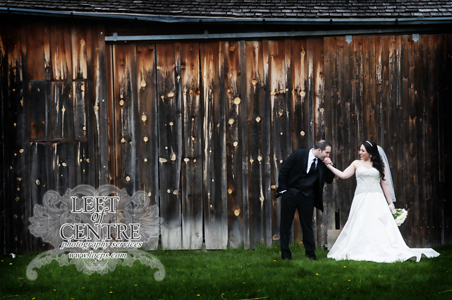 It also gives us a great idea as to the personalities of the couples we photograph. It let's us know what look that specific couple wants and gives us some technical information, for example if the bride or groom blinks a lot we will then know we need to take extra photos during the day of to make sure he has his eyes open. I am so pleased to say Ashley and Darren are our kind of people. Head over heels for each other as well as a little silly...totally awesome! And I think they laughed at some of Jeff's jokes too, which is a huge bonus! Check out the last image with the two of them throwing leafs at each other... or I guess I should say Darren threw them in Ashley's face! What a cool woman too... who wouldn't love a girl who, after getting a face full of damps leafs, says "I think I just ate dirt!" while laughing! What a great Engagement session and we can't wait for the Wedding!